I just finished this recycled wood tenor ukulele. I wanted to do something different for a change. This ukulele is made from recycled redwood taken from a house deck that now no longer exists. It was destroyed by the recent lava flow. The body, top, back, and sides are redwood, complete with knots and nail holes. 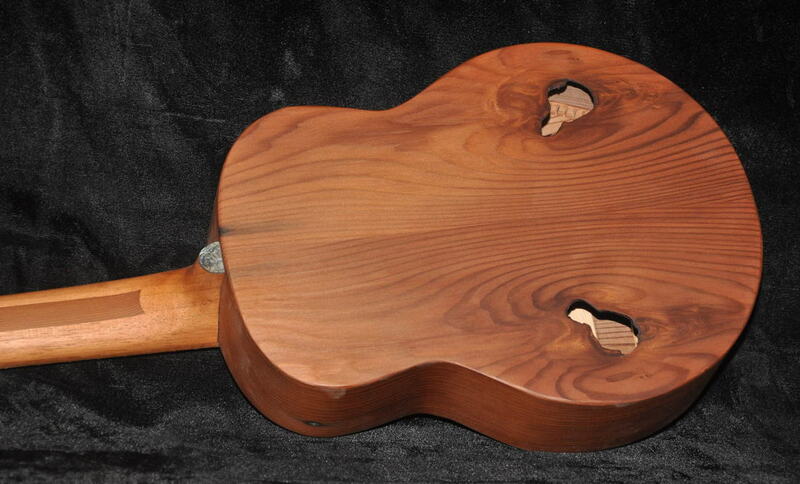 Neck is Spanish Cedar with a redwood stringer. The rest of the instrument is made up of parts that I made for previous shop projects, but never used. Headcap is curly koa. Fretboard and bridge are Indian rosewood. Grover gold plated open gear tuners. No binding. Very simple mat finish of shellac and lacquer. This instrument was a lot of fun to make. Extremely lightweight. 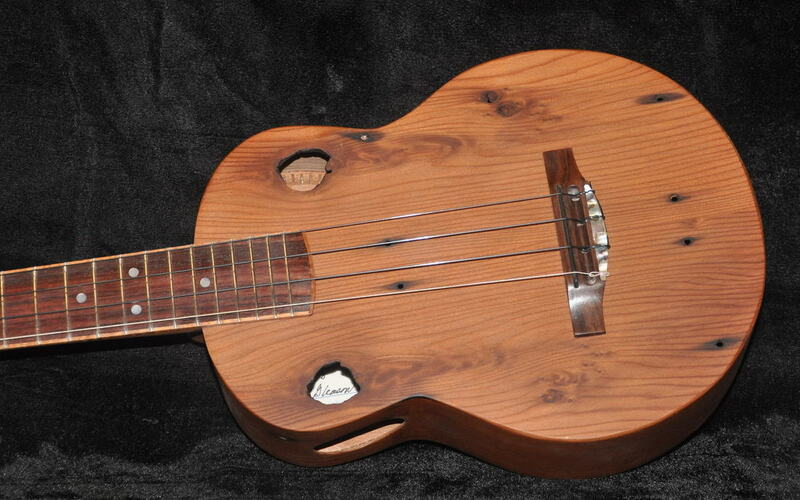 This is a very unusual ukulele, being made with an all softwood top, back, and sides it has a nice mid-range voice. Probably not a uke for the lead melody player, but well suited for singing and kani ka pila. Just a fun uke.